This is a perfect recipe to add to your rotations for weekly prep. You can cook up bulk amounts of chicken breasts with minimum fuss and mess. You can easily tweak and change the seasoning you use to add variety and if you felt like it you could even add some onion and tomato to the trays and roast those up while you were baking the chicken! I prefer to slice the chicken breasts in half width ways, before adding the rub, but this is optional. Line a large tray or two smaller trays with baking paper. Place chicken pieces onto the tray/s. Using a pastry brush, coat the chicken breast pieces with the melted butter. Combine together the garlic powder, pepper and salt, then sprinkle onto the chicken. Place trays in the oven and bake for 10 minutes. Turn over chicken pieces and bake again for another 10 minutes. 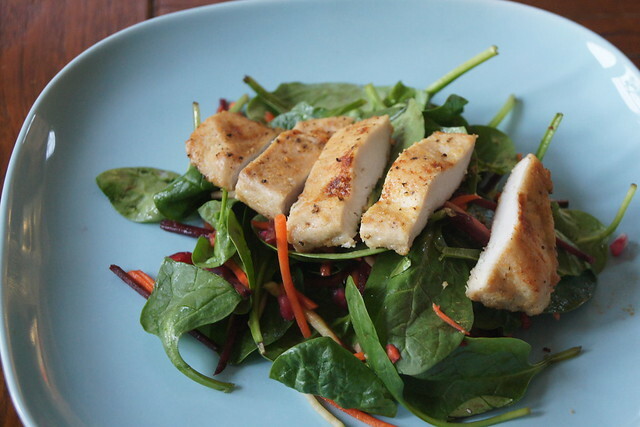 If you have kept the chicken breasts in their full size, you may need to cook them for longer. You can use a thermometer to check if the chicken is cooked. Pieces of chicken are thoroughly cooked when they reach an internal temperature of 74°C. Remove from oven when they are cooked and then cover with a baking dish for 5-10 minutes. 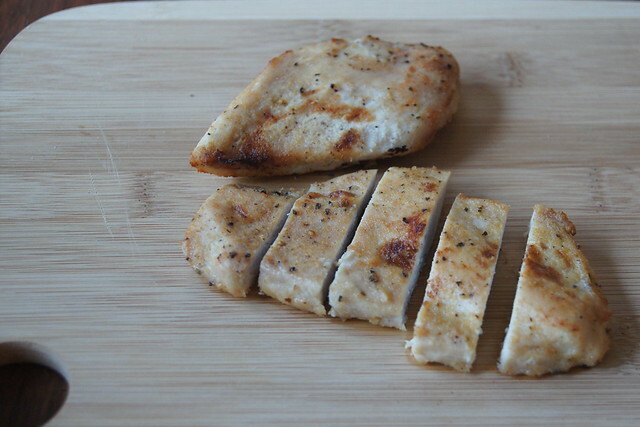 Transfer chicken to a cutting board and then cut against the grain to serve.